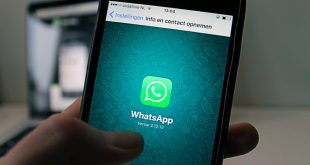 If you are the one who likes to keep records of all WhatsApp conversation or have accidentally deleted your WhatsApp chat history then, read along. In this article, you will find how to restore WhatsApp conversation if delete accidentally. You can also move your WhatsApp conversation between two devices provided that they are running on the same OS. However, if you brought an iPhone and wanted to move your WhatsApp conversation from Android to iPhone that it’s not directly possible because every Os has it’s different the backup format. If you have accidently delete WhatsApp conversation or uninstall WhatsApp messenger, you can easily restore it back. Thanks to automatic backup service that takes backup every day at 4 am. This backup is store in WhatsApp folder inside your SD card. Follow these simple steps to restore it. Now you will be asked to re install WhatsApp chat conversation. Click on OK and your conversation will be recovered. I brought a new Android and moved my WhatsApp conversation. If you decide to switch to other device and want your old WhatsApp chats back, then follow these simple steps. You will lose all of the messages that you have sent and received since the backup was created therefore first update your backup. Take a backup by going to Whatsapp Settings >Chat Settings >Backup conversation. Copy the WhatsApp folder from the old to New Android and install WhatsApp. During the installation, whatsapp will detect the backup folder and ask you if you want to restore chat. 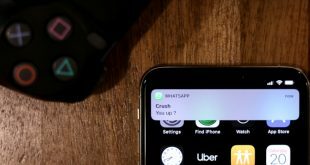 Click OK and your WhatsApp chat will be restored. What I really like about Android is there are many cool apps available to make your work much similar. One such application that I use is called Backup Text for WhatsApp. It allows me to take selective backup based on time and contacts and export it to your mail or SD card in plain text, HTML or CSV format. However, this can also be used to Hack WhatsApp conversation as it can use to read WhatsApp conversation even if whats app is locked. Since WhatsApp don’t take automatic backup on iPhone as it did on Android so you will need to take manual backup. You can’t restore you WhatsApp conversation if you haven’t already set auto back using iCloud.However, you can try iPhone Data Recovery if you want to restore WhatsApp conversation for this purpose. To manually take the backup to go to WhatsApp Settings > Chat Settings > Chat Backup > Take a backup. Here you can also turn on the back auto feature for more frequent backups. Read this whatsapp guide for step by step instruction to setup up iCloud for backup. 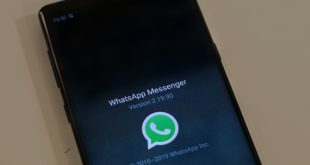 Whatsapp takes periodic backup on windows phone similar to what we see in Android. If you accidently delete your chats then re installing whatsapp can bring it back. But all the conversation send and receive between the time interval when a backup was taken to the time when you accidently deleted the chats will not be recovered. In the chats screen, tap on the three dots in the bottom right-hand corner. You can see the time of the last backup under [backup] (do not tap [backup]; otherwise, a new backup will be created). Windows version of WhatsApp also allows you to email your chat conversation. Next Computer ports explained | How many ports are there ?